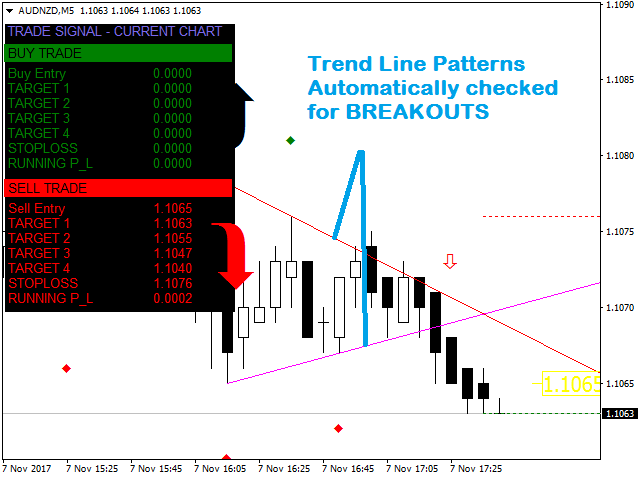 Trend Line Pattern Signals Is a traders Tool for Signals based on Strong Patterns Formed By a pair of robust trend lines. The TREND LINES form dynamically on running bars. 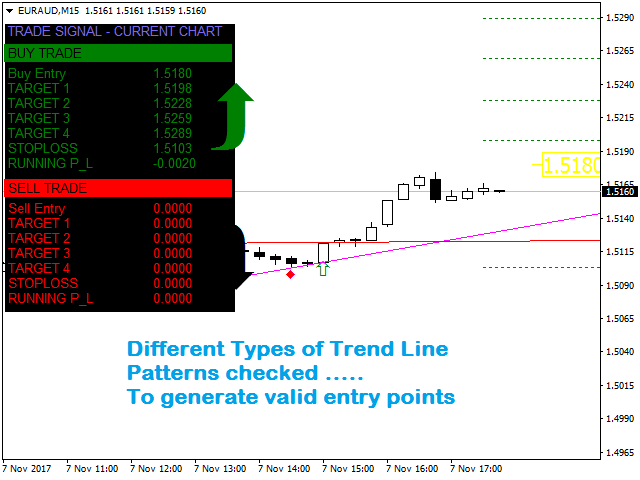 The sensitivity of the trend lines can be changed by custom settings. 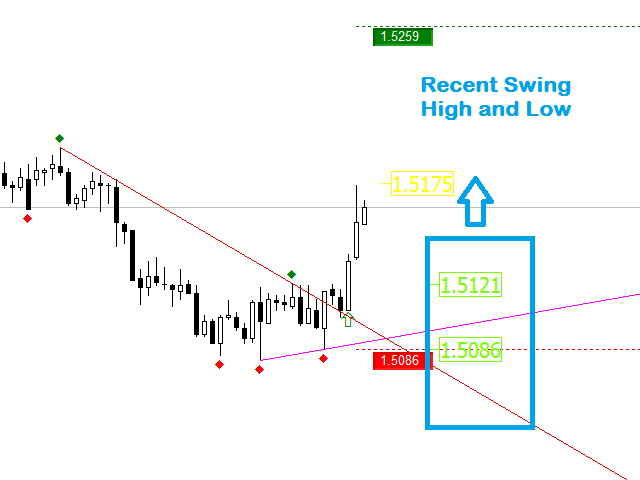 The Buy and Sell Signals Generate upon Break Of the Trend Line + "Close" of the same bar above the previous swing High or Low, so they will come only when a strong move takes place. 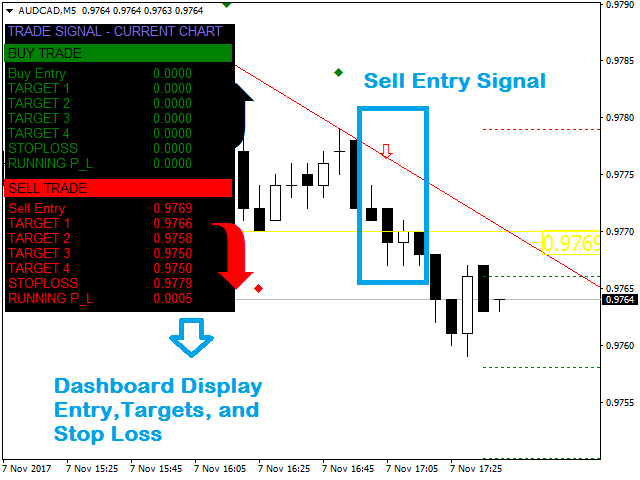 The DASHBOARD displays - ENTRY, MULTIPLE TARGETS AND STOP LOSS LEVELS, and RUNNING PROFIT OR LOSS IN THE TRADE. 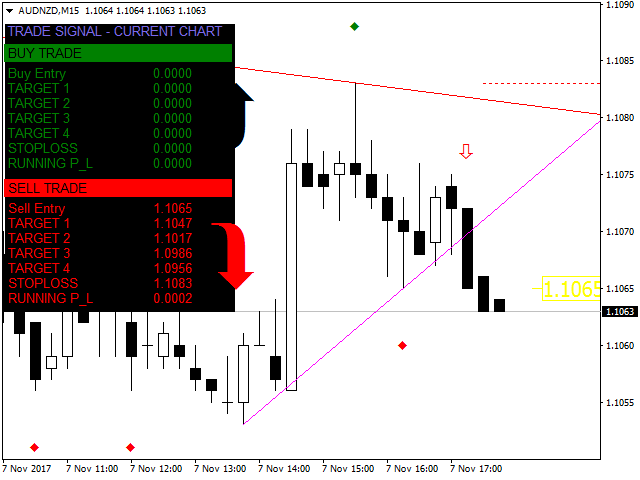 The Signals Generate the suitable TARGETS AND STOP LOSS. 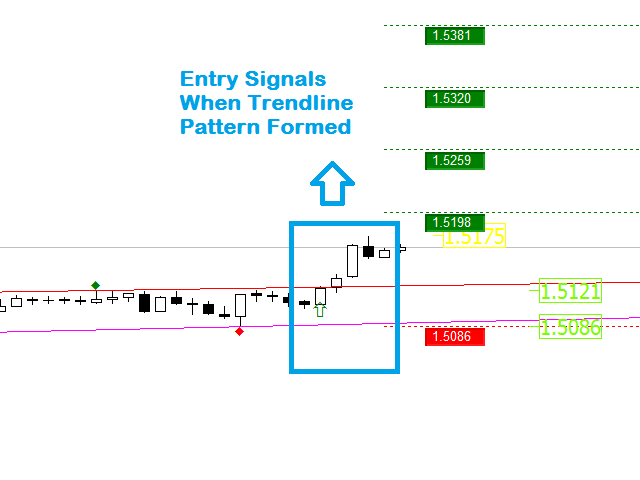 The trend line patterns can be customized by changing the - PERIOD setting, so more robust signals may come with higher periods like 30,50 as compared to selecting 5,10 or any small periods. nPeriod = 10; - This period can be set from 1 to any higher number, for example, 10 means the trend line is formed if found over the last 10 bars. 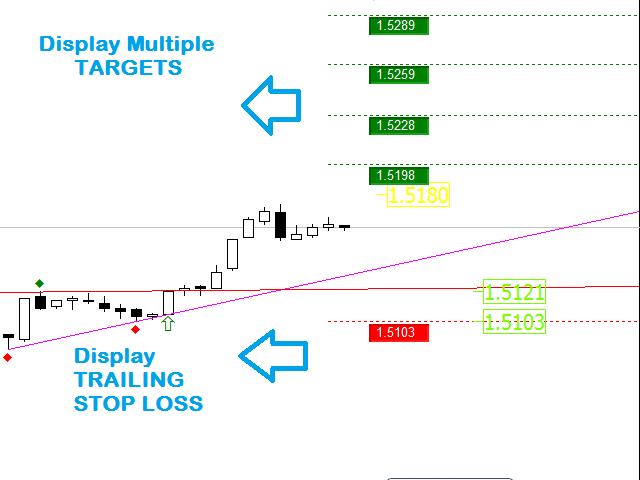 ExitAtTarget = 4; - Selection Of The Target Exit 1 To 4, so if 4 is selected then the trade details on the dashboard will become refreshed once target 4 is reached.